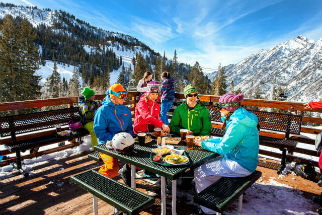 Salt Lake City Ski Shops are featured on this page of our 2019 Visit Salt Lake.org Travel Guide. 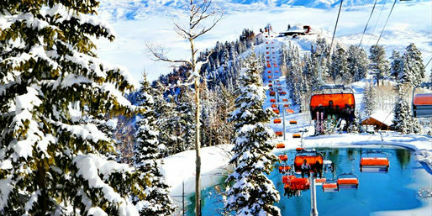 Saving you money by showing you where to get the best deals on new ski and snowboard equipment is one of our services. Canyon Sports and AJ Motion Sports - Between them, they have 3 locations. And They Have Ski & Snowboard Concierge Delivery Services. * Ski and Snowboard Tuning: We tune by hand or machine to meet your needs. * Waxing: Prepare for the first snowfall or rejuvenate your equipment mid-season. * Base Structuring: We stone grind patterns into the ski bases to help reduce friction for optimal glide. * Major Base Repair and Edge-Replacement Service: We can bring those beat-up boards back to life. CANYON SPORTS in Salt Lake. AJ MOTION SPORTS in Salt Lake.